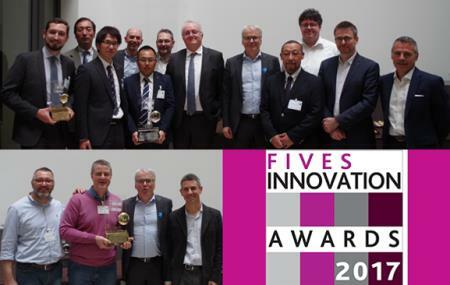 Since 2011, Fives has organized the Fives Innovation Awards, which reward outstanding innovations at the Group level, encouraging the feedback of good ideas on technologies and services. This year again, a Filling | Sealing innovation has been rewarded: A Hose less automated solution, developed by our Japanese teams has been awarded the 2017 Special Jury Prize. These awards demonstrate the expertise and Innovation of Filling | Sealing and it’s capacity to develop technologies that better answer to customer needs.